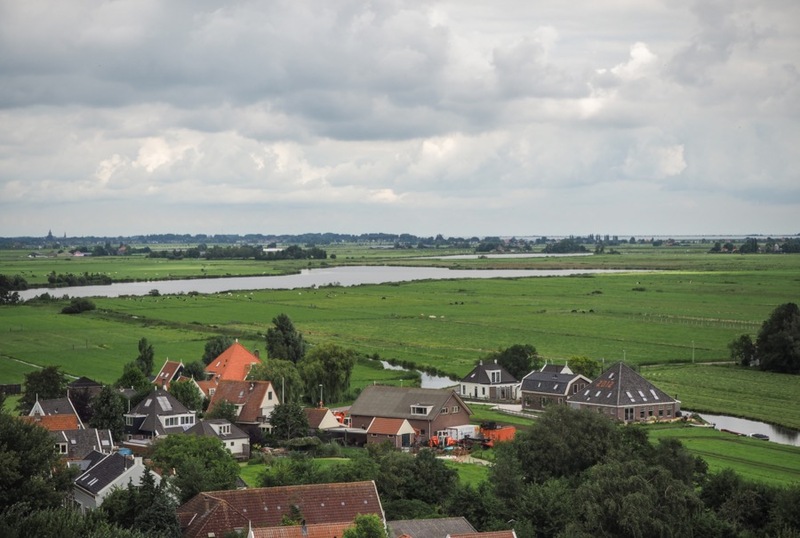 A rural part of Amsterdam of water, farms and cows: typical Dutch countryside, within the city limits. 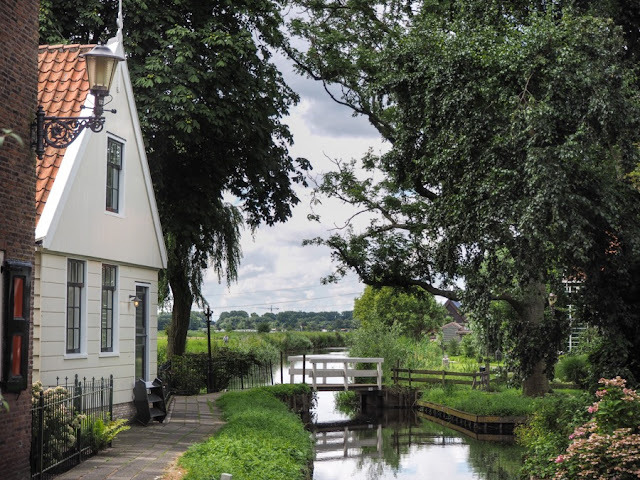 There is hardly a bigger contrast than between Amsterdam's oh-so-picturesque, tourist-thronged canal belt, and these rural villages and their surrounding countryside. Looking like a 17th century Dutch painting, this is a great introduction to the Dutch countryside- all within (rented) biking distance from the city center. 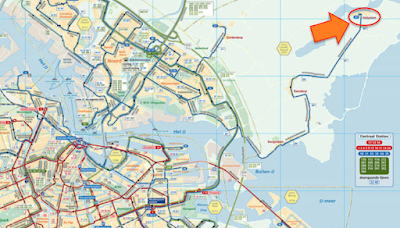 These villages are part of Amsterdam Noord, the city district just north of the IJ, the body of water behind Central Station. 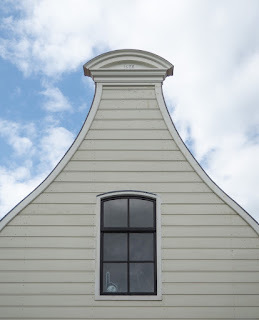 They are just outside the Amsterdam ring road (A10), between the city proper and the IJsselmeer lake. Map. 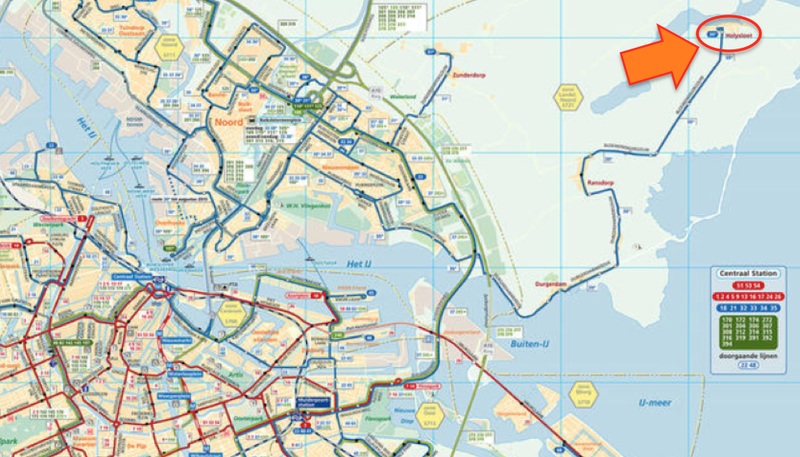 IF YOU HAVE spent, like Minor Sights has, a disproportionate amount of time waiting for an Amsterdam tram, you may have tried killing some time by studying the public transport map conveniently displayed at every stop, imagining the wild trips you could take iaround the capital. If you did, one bus line will have stood out, line 30, whose terminus is in the far north east in a place called Holysloot. Holysloot? 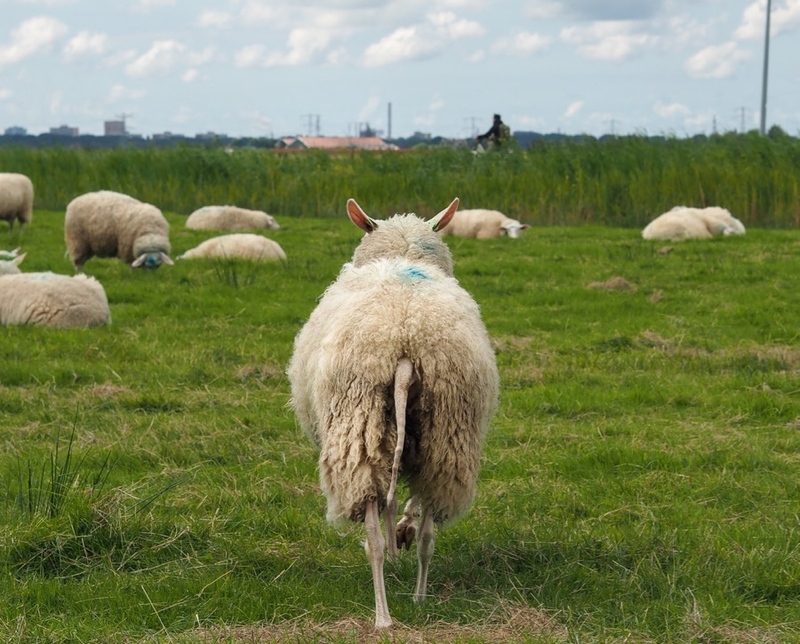 'Sloot' is the Dutch word for 'ditch'. Why would a ditch be blessed? 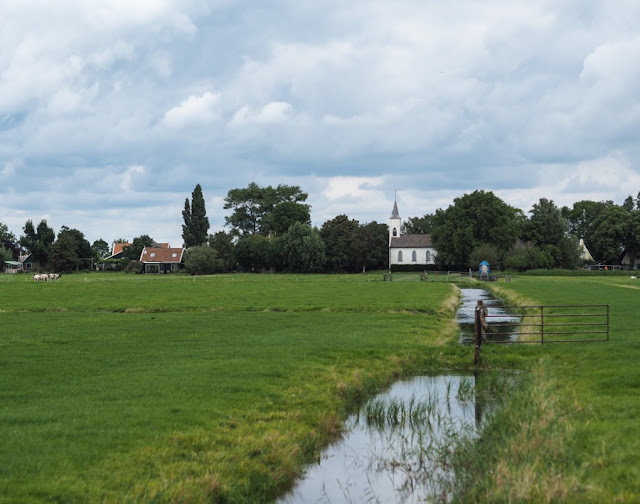 'Holy' is just old Dutch for 'hollow' and denotes that the ditches in this part of Holland were particularly low-lying, and prone to flooding. 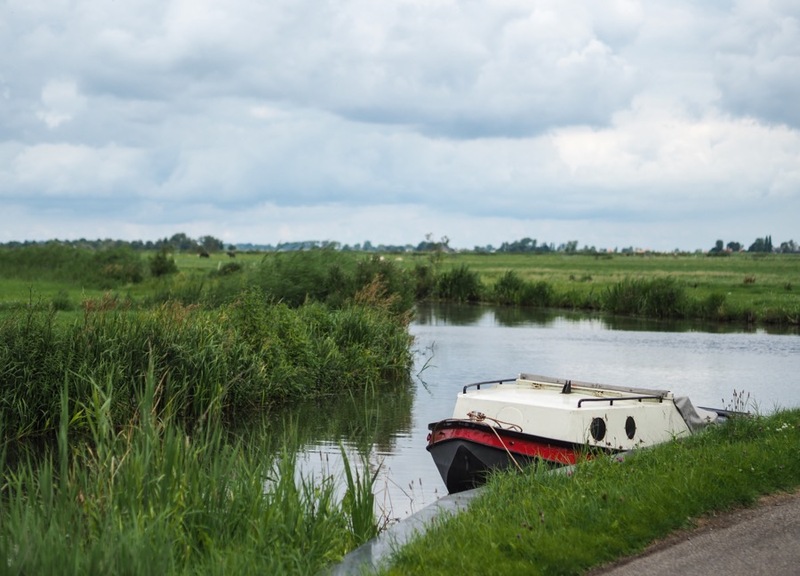 Over the years a typical Dutch combination of dams and canals created a low-lying landscape of green meadows interrupted by streaks of water. In 1921, after the last great flood left the villages here devastated, they made a pact with the devil: the big city, Amsterdam, could annex them, sniffing out centuries of independence. But in return, the landscape would remain protected guaranteeing a rural existence within city limits. 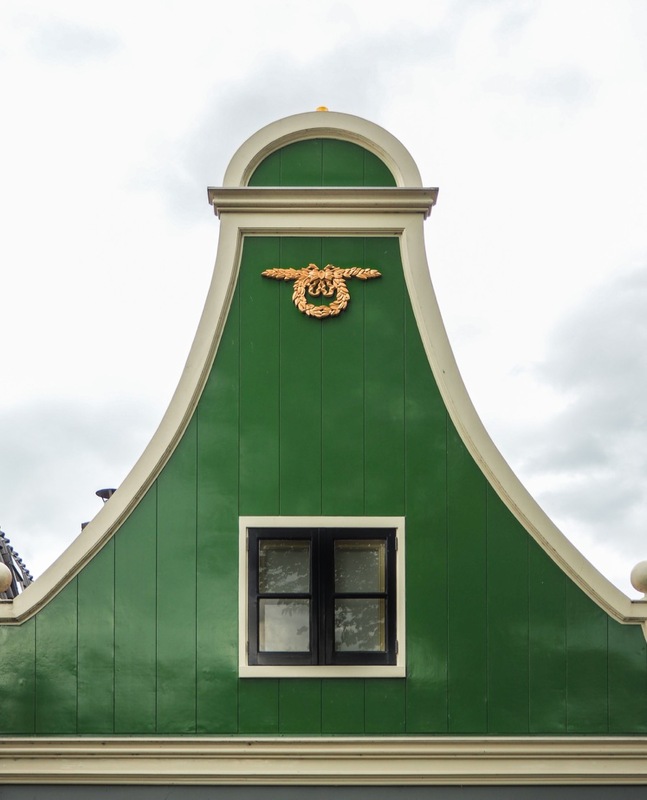 Known as Landelijk Noord (Rural North), this is Amsterdam's time machine. 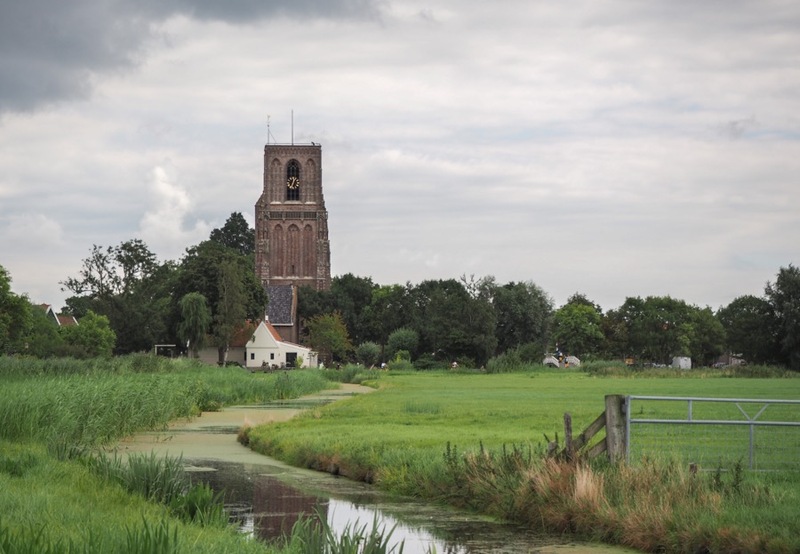 The landscape, part of a larger region called Waterland (no translation necessary) hasn't really changed in centuries. It is still a landscape of small churches, old farmhouses, and curious sheep. Oh, and lots of water of course. Guess why it's called Waterland? 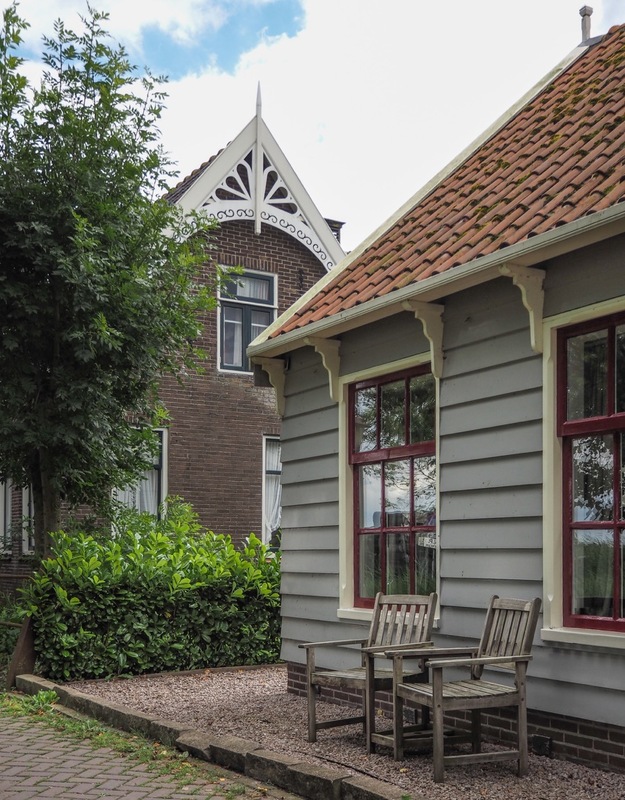 This little corner of Amsterdam contains three villages that can be strung together for a leisurely day trip, ideally by bike. Bring a picnic. Bring your cycling legs. And bring some sunscreen, if you're here on one of the three days a year that can be classified as 'summery'. 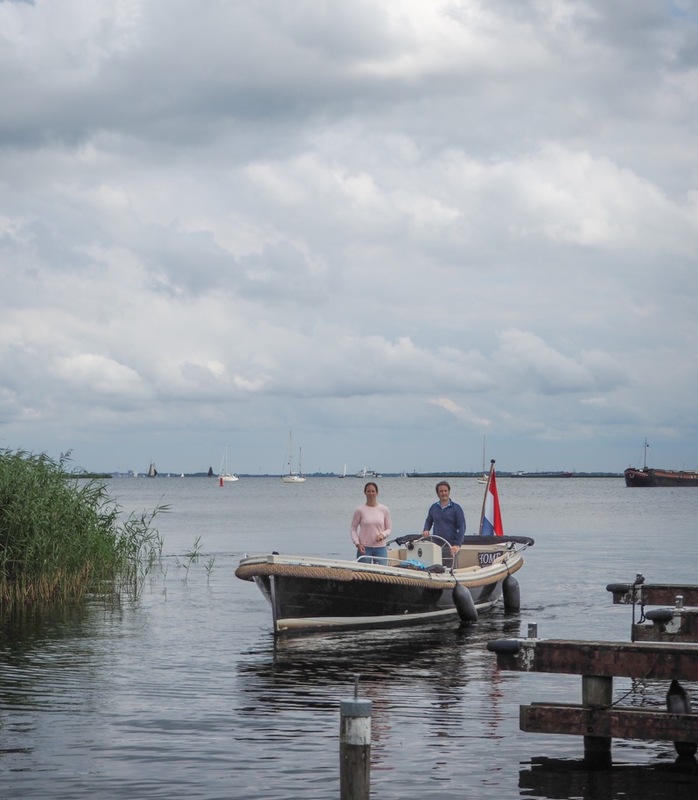 Holysloot is what first caught our attention, when dreaming away of unknown destinations, looking at that municipal transport map. No surprise that you'll find many a 'sloot' (ditch) here. 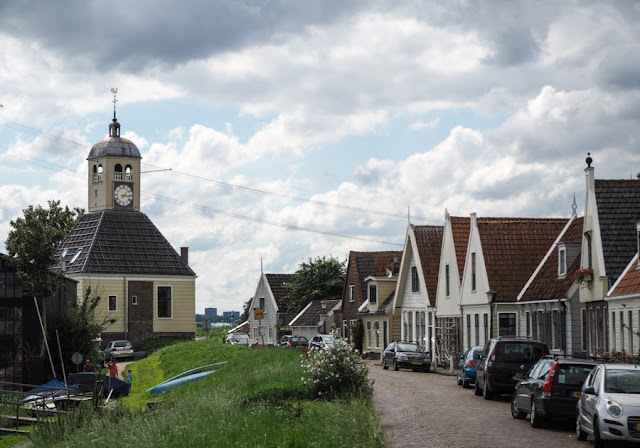 The village is small, with cute wooden houses, a white church, and a single restaurant, popular at weekends with in-the-know Amsterdammers. Living it up in Holysloot. 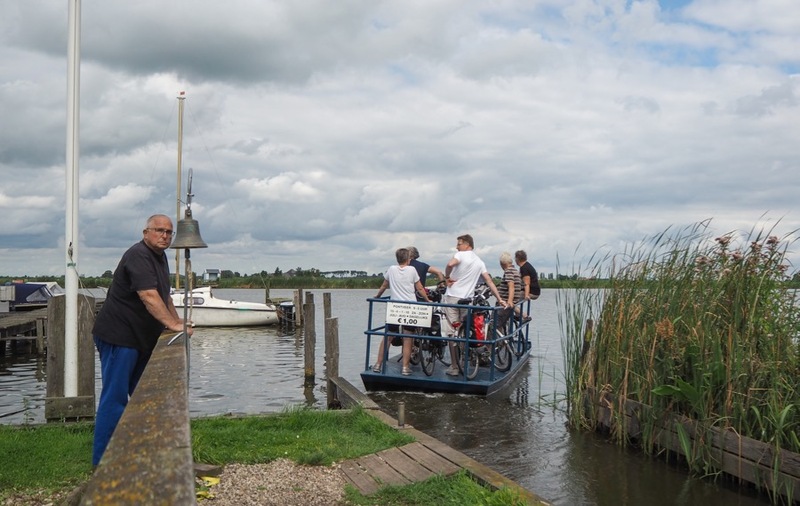 Holysloot also has what must be the world's smallest ferry: just large enough for four bicycles and a skipper. It will whisk you across the water to explore the rest of Waterland, including the towns of Broek in Waterland and Monnickendam, outside the Amsterdam city limits. 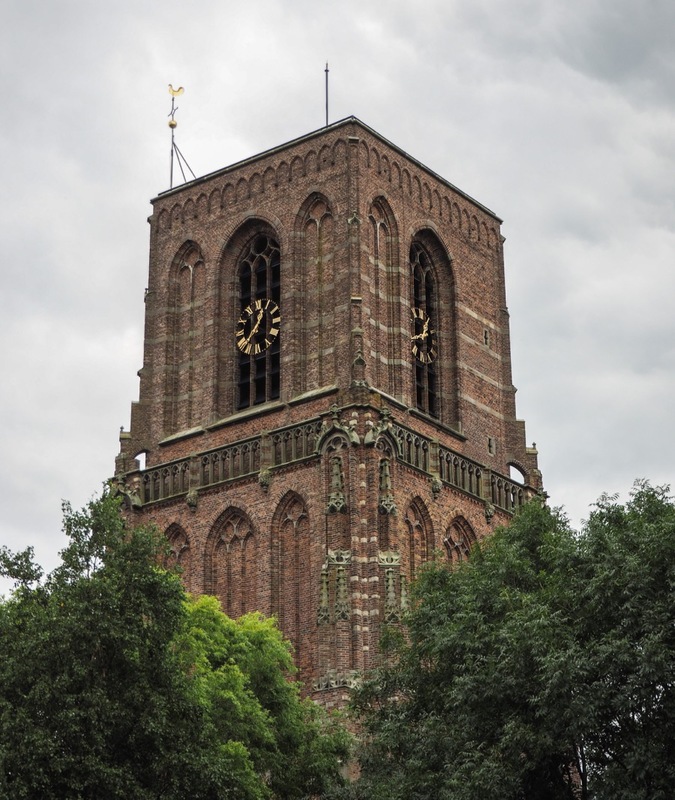 Ransdorp with its landmark tower. Unfortunately, although their building prowess may have been excellent, the budgeting skills of medieval Ransdorp's burghers were not. They ran out of money before the church was completed and so the tower has a flat roof rather than a pointed steeple. The upside is that the Ransdorp tower now has a viewing platform offering the best views of the area, and for the grand sum of 50 cents you can partake in it too. 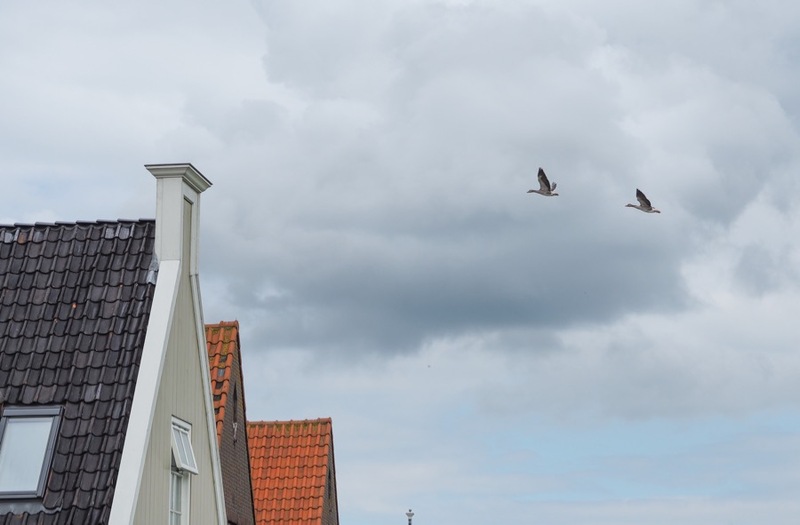 Durgerdam is a dike village- basically one long string of wooden houses built on dike overlooking the former Southern Sea. Fishing was the main industry here until the sea was sealed off and turned into a lake in the 20th century. It's still a popular boating area- but it's mostly leisurely sailing on the lake rather than the smelly business of fishing. Of course the best way to get here is by bicycle. 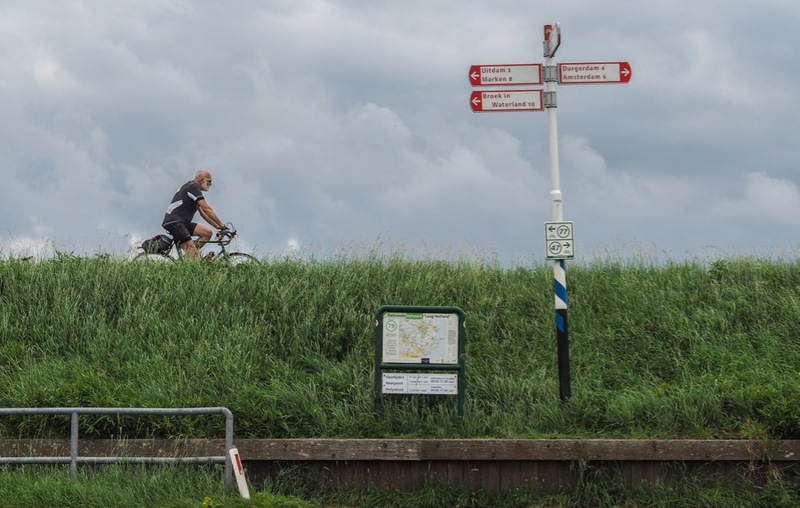 Even a humdrum Amsterdam rental bike will do- the landscape is stereotypically flat, and your biggest challenge will be a bridge or two. From Amsterdam Central Station, take one of the free ferries over to Buiksloterweg in Amsterdam Noord. from here you can follow the signs to Holysloot and Ransdorp. You'll have to traverse Noord till you reach the A10 ring road, which will take 20-30 mins. 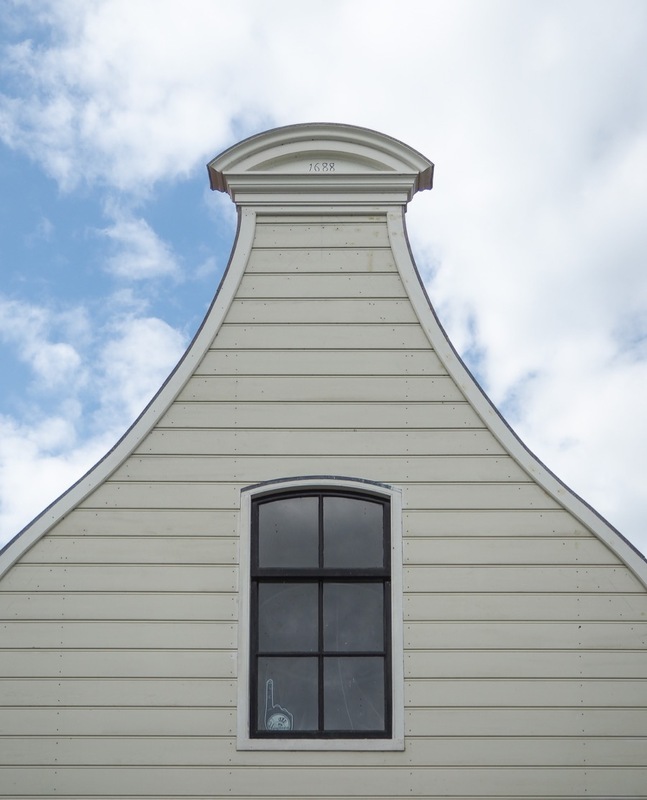 Try to follow the Nieuwendammerdijk, a former dike village that is now completely surrounded by the city. If you accidentally miss it, you'll have to pass through some fairly dreadful Le Corbusier-inspired 1960's architectural misery, but just head for the edge of the city and you'll be fine. We are from Australia and live on a boat in Six haven for several months a year in summer. This part of Amsterdam is delightful. Go via the lovely and peaceful Fliegenbos to Niewerdam and be amazed at the georgeous village along the waterfront. 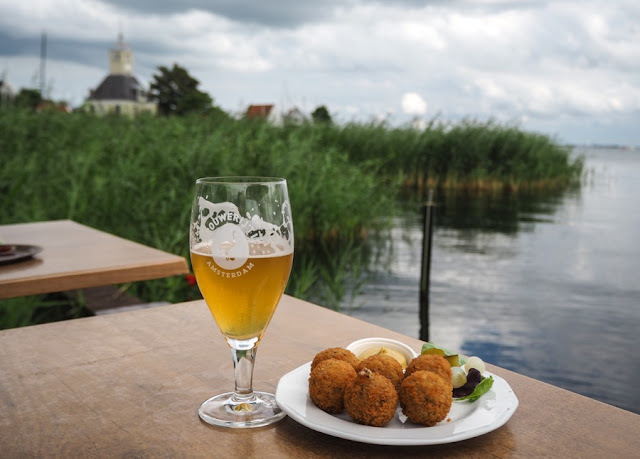 There are two nicely set cafes where you can have excellent food at very reasonable prices; then continue along the dyke on safe bicycle paths to Durgerdam, a picturesque fishing village overlooking the Ijsselmeer. Two cafes but shut Monday and Tuesday. Continue along the Dyke to the island fishing village of Markum and then onto Monnieckedam, Volendam, Edam and return via Broek on't waterland, all great stuff! You can also turn left jusst after Durgendam and go to Holysloot, have lunch at the Schoolhuis and then go on a tiny ferry across the water to farm land where you have to traverse on foot several small bridges before returning to Amsterdam. Go for it! Hire a bike from the bike shop near the Pont. We cannot recommend it highly enough!